1. 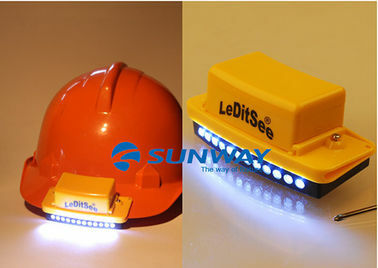 Complete set: 12 super bright LED, include 9V battery and screwdriver. 3. Manufactured specially for helmets. 4. The LED Helmet Light Bicycle Can be attached to all standard helmets with a brim without affecting the protective function. 5. Compact design and light weight, easy to carry and store anywhere. 7. After installing an innovative appearance design. 9. Environment- friendly ABS material, certified by Rohs. allows you to work hands free under even the darkest conditions. 1. Increased night visibility and riding safety. 2. Make your helmet look cool and very trendy. 3. Use proper battery as requirement (≦DC 9V ). 4. Dispose used batteries properly and legally.